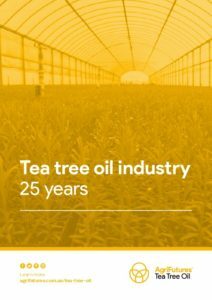 The AgriFutures™ Tea Tree Oil Program aims to conduct RD&E that contributes to the profitability, sustainability and productivity of this levied industry. 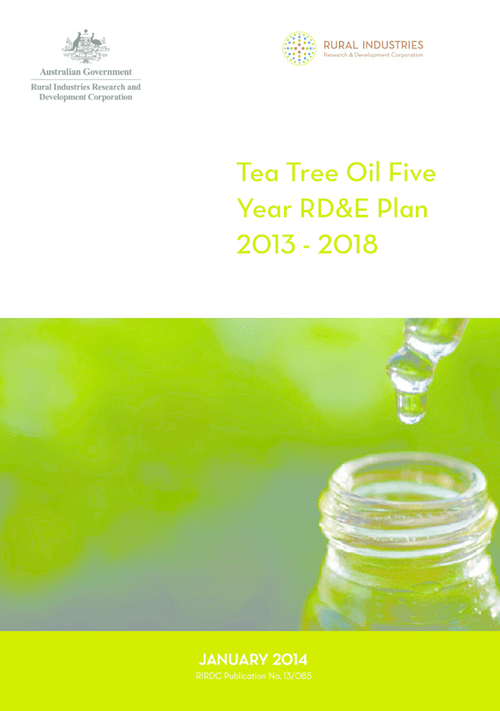 In consultation with industry, AgriFutures Australia has developed a tea tree oil five-year plan for the levy funded program which commenced on 1 July 2017. The program will invest in research focused on tea tree breeding, processing and market access. 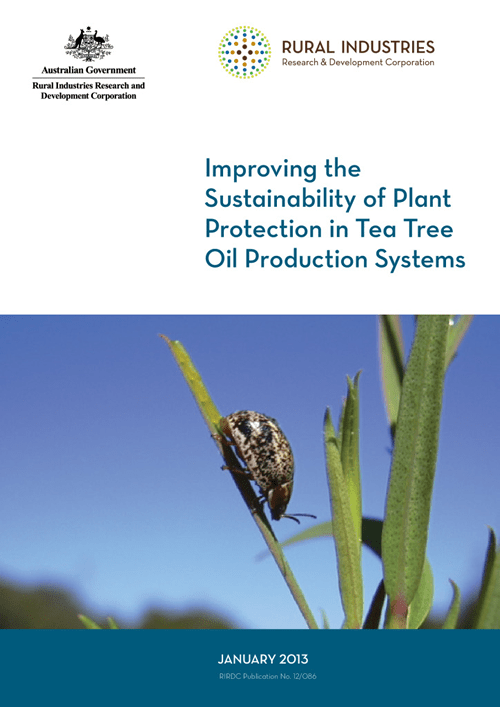 The program invests in research to develop the industry in growing tea tree, processing and overcoming post farm gate market access barriers in accordance with a five-year planning process. 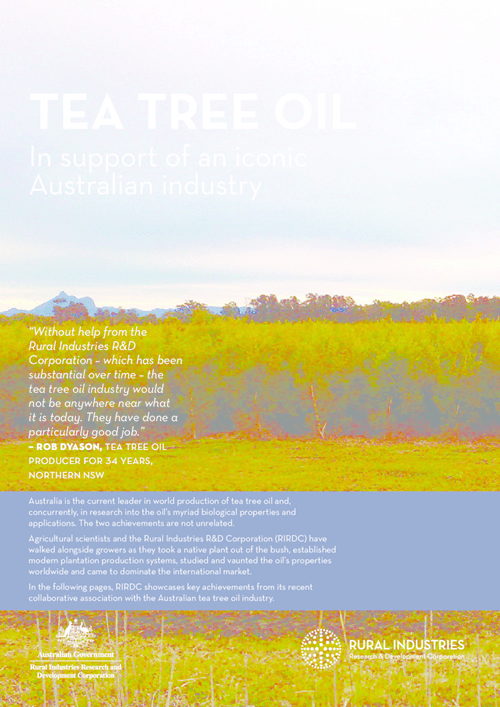 Tea tree oil is extracted from Melaleuca alternifolia grown in plantations and distilled via steam injection. Tea tree oil has a range of uses, can be found in cosmetics, personal health care and animal care products, and is recognised by consumers and manufacturers for its effectiveness. 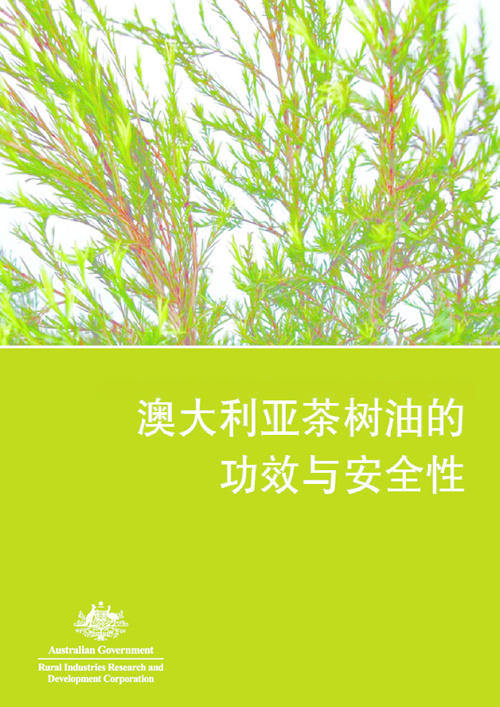 Tea tree is tolerant of coastal acid sulphate soils and can be grown on inland cropping country. 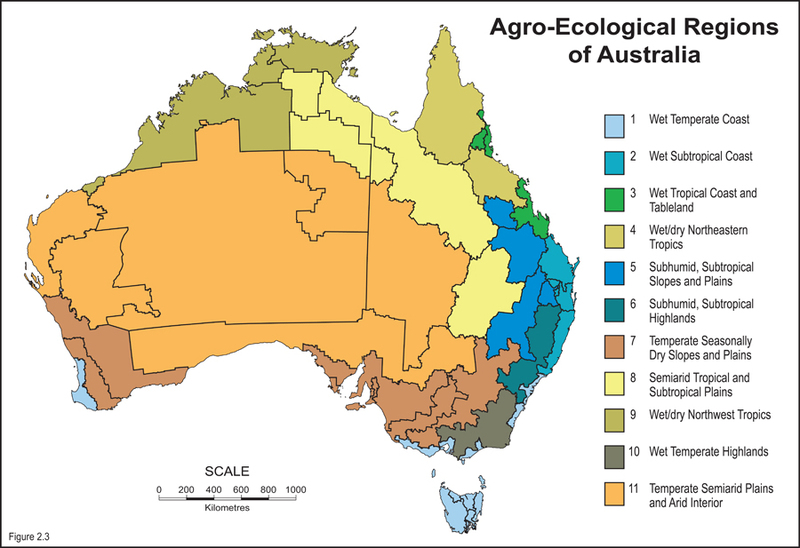 Most plantations are located in the coastal region of northern NSW and the Atherton Tablelands of Queensland. Our investment in the tea tree breeding program over the past 25 years has resulted in the near doubling of plantation yield. These investments have also delivered efficiencies in harvesting, distillation, storage and marketable oil benefits. 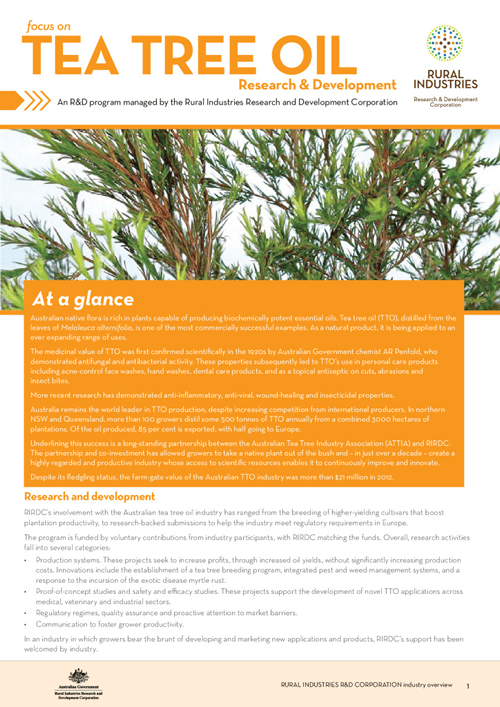 Key challenges for the Australian tea tree oil industry is to continue to improve profitability and increase demand. 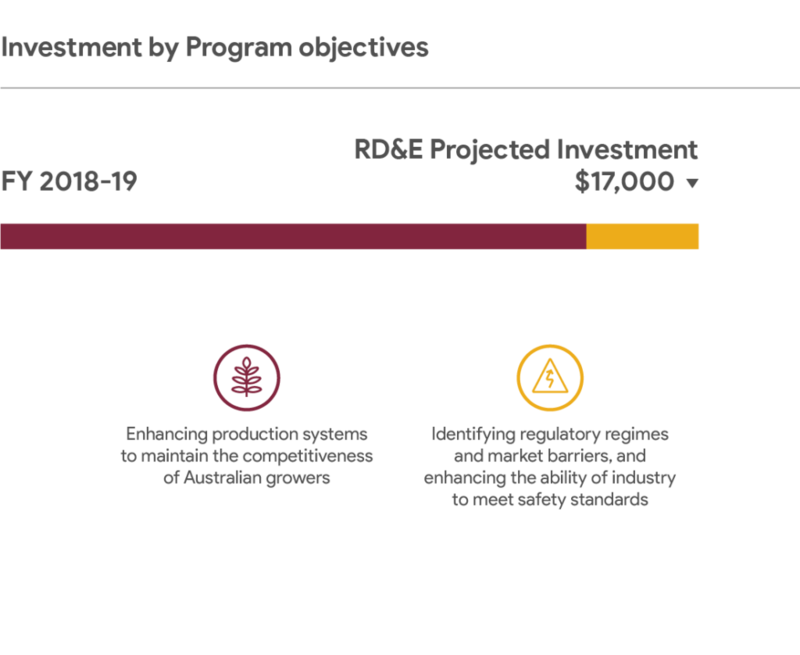 Reducing costs of production is also important to maintaining Australia’s competitive advantage. As price increases and demand continue to grow, new plantings in China have potential to impact on commercial competitiveness of Australian-grown oil. 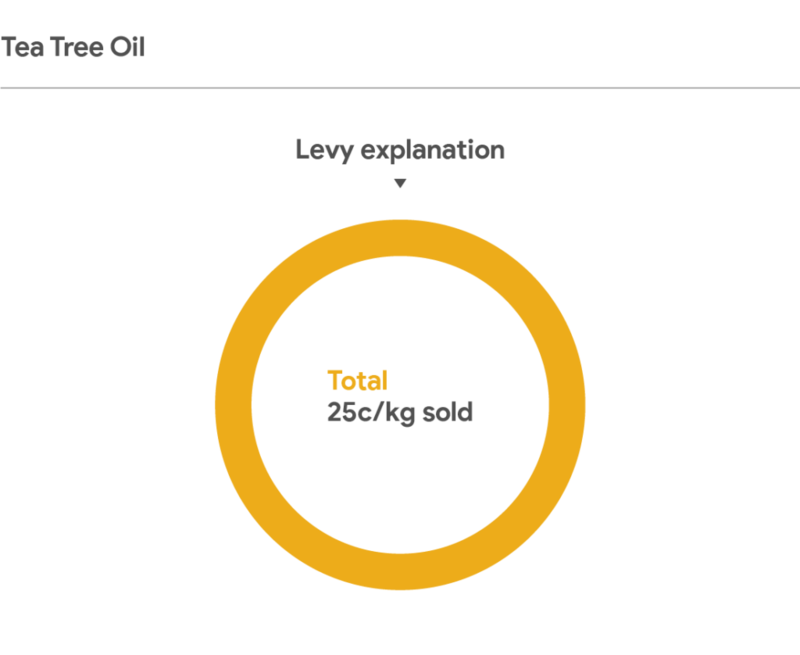 There is a statutory levy on tea tree oil. Extension, sustainability and human capital. 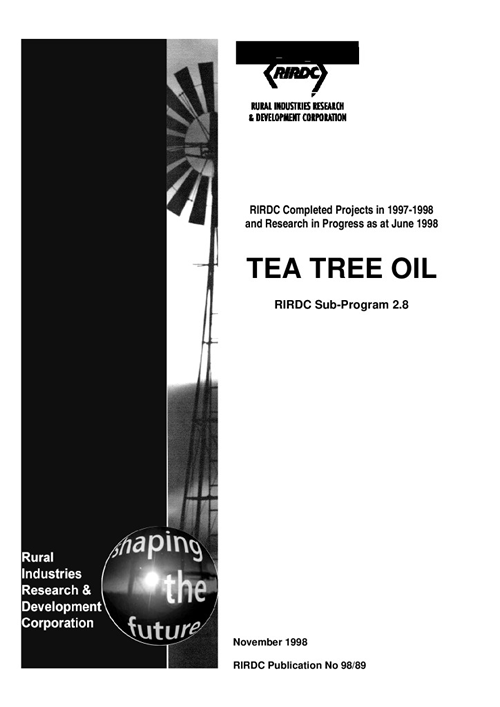 Project updates from our AgriFutures™ Tea Tree Oil Program. 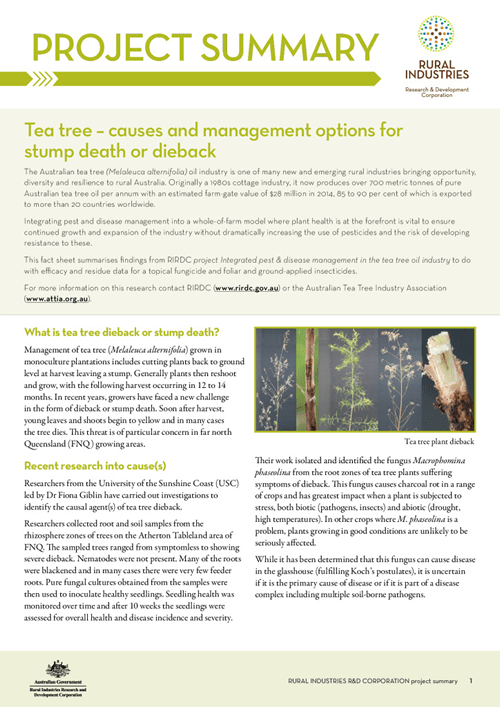 AgriFutures Australia and tea tree oil producers have set ambitious research priorities to improve supply and increase demand for the natural antiseptic. 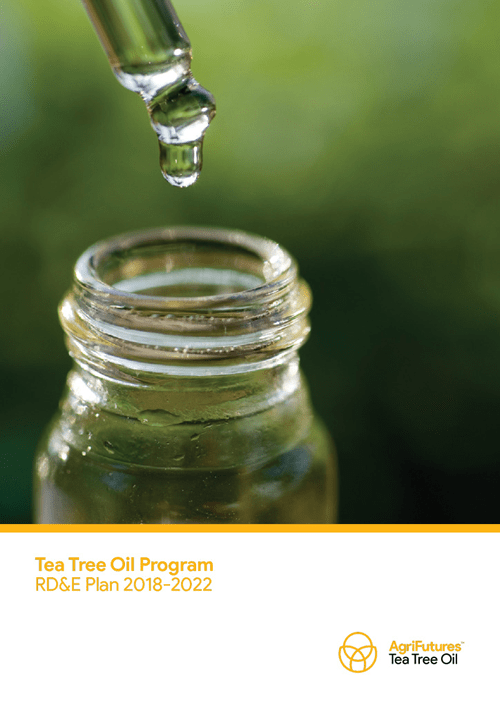 The Tea Tree Oil Program RD&E Plan 2018-2022 comes after the introduction of a research levy and a new “emerged” status for the $35 million industry. 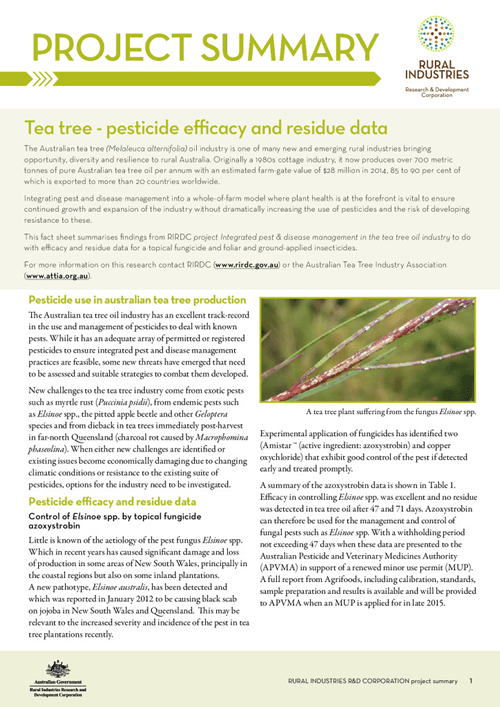 Sign up to receive AgriFutures™ Tea Tree Oil Program news, and keep up to date with the latest research, events and program activities.